We are a group of people who enjoy singing. Practices are held at Lady Elizabeth hall on the first and third Mondays of the month at 7pm. 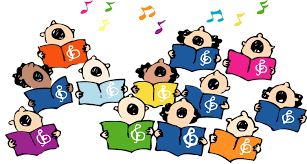 We support the singing at St James Fourth Sunday service at 5pm and sing for Festivals and special events. Please come along and join us - the only requirement is a love of singing! All Souls historic Church will be open.